Cloud computing is moving beyond small companies, start-ups and software development to the era of full-scale enterprise deployments. Cloud computing is moving beyond small companies, startups and software development to the era of full-scale enterprise deployments. Mainstream software giant Microsoft is evidence of this. Curt Anderson, chief financial officer at Microsoft’s server and tools division, recently said the company’s Azure cloud service had made $1bn in the last 12 months. It is now a serious business for Microsoft. Microsoft is aggressively targeting competitor Amazon in the infrastructure as a service (Iaas) market.It recently reduced the general availability prices on Linux and Windows Server virtual machines and cloud services by 21-33% to match Amazon's Elastic Compute Cloud (EC2) prices. Earlier this year Macquarie Capital predicted Amazon Web Services (AWS) would generate $3.8bn in sales this year. The attractive pay-per-use pricing on processor cores and storage infrastructure services has made Amazon a popular choice for software development, where code can be built and tested on the Amazon cloud. Organisations are also deploying applications on Amazon’s infrastructure for cloud-bursting on-premise software to support peak demand, and for business continuity. Recently the Rail Settlement Plan (RSP) in the UK selected AWS for its on-demand infrastructure to enable train operating companies to handle peak demand for tickets. Google is the third major cloud provider in the public cloud space. It offers enterprise cloud services such as Google Cloud Storage, Google App Engine and more recently the infrasructure platform - Google Compute Engine. But Google Compute Engine is still not generally available, although it is thought to be imminent. “We cannot reveal exactly when it will be but the next milestone for Google enterprise cloud division is the general availability of Compute Engine,” says Barak Regev, head of Google's cloud platform in EMEA. The platform enables enterprise users to run their large-scale computing workloads on Linux virtual machines hosted on Google's infrastructure. Google Compute Engine gives developers access to Google's computing infrastructure, Regev adds. Earlier this year Forrester analyst James Staten wrote a blog stating: “Cloud use is no longer solely hiding in the shadows, IT departments are no longer denying it’s happening in their company, and legitimate budgeting around cloud is now taking place." In March 2013 IT director group, The Corporate IT Forum, conducted a survey which showed that people in IT are more confident with the public cloud. When asked about public cloud usage, 43% of the organisations surveyed said they were using public cloud, representing an increase of 30% since 2010. However private cloud usage is expected to increase from 40% 2010 to 64.1% in 2013, which shows that IT departments still prefer private to public clouds. But IT directors are becoming more open to using the public cloud. “Only 3-5% of IT spend is in the public cloud,” says Gregory Petri, research director at Gartner. The analyst firm’s research found that infrastructure as a service is the fastest growing segment in the public cloud market, growing 40% year-over-year. 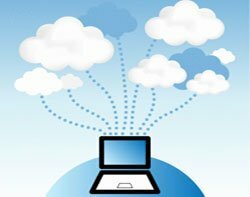 Gartner's forecast: for public cloud services, published at the end of March, reported that by 2017, the market for Iaas would grow to $31bn, from $6bn in 2012. However, the biggest potential area for public cloud services is the market to run business services and applications in the cloud. Petri says the market is introducing higher level services, like scheduling measurement, monitoring services. There are also industry-specific service such as HPC for the insurance industry, which has been validated by regulators. “In our public cloud forecast we predict business process as a service will be the biggest area for the public cloud.” Companies are accustomed to use third-party service providers for processes like payroll. Petri expects this market will expand covering other business processes like expenses. People already use Saas providers for expense reporting, but the whole approval and payment process could be powered by a third-party providers over the public cloud. For the time being, the public Iaas market is hotting up. Launched in April, Microsoft’s new Azure Infrastructure Services come at a time when public cloud providers including Amazon and Google are launching price wars and new services and management tools to attract customers.